This Tableau Certification Course includes 4 comprehensive Tableau courses with 19+ hours of video tutorials and Lifetime Access. It is an amazing collection of practical and hands-on learning of the most updated training programs and projects in the area of Tableau tool. You will also get verifiable certificates (unique certification number and your unique URL) when you complete each of the 4 courses. 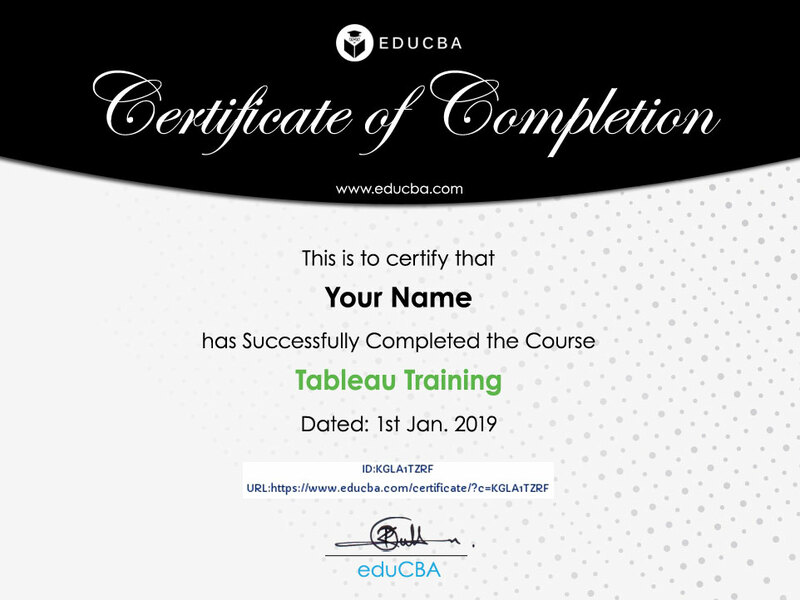 This Tableau certification will help you learn about Business Intelligence with Tableau, Customer Analytics, Pricing Analytics using Tableau. It is a Comprehensive Tableau Training course designed by industry experts considering current market trends in BI to help you learn. This course is mainly aimed at helping data and analytics professionals to create data insights. you will come out with an understanding of Tableau terminology and build dashboards for the data sources. Through this course you can learn about dual maps, creating a calculated field. This Tableau training offers value to all professionals who wish to learn data visualizations for good decision making at various levels in their business. The main take away after this Tableau training is you will gain knowledge on various KPI’s and acquire proficiency in tableau creation. Deal You get access to all 4 courses bundle. You do not need to purchase each course separately. 2 Customer Analytics using R and Tableau The Tableau training includes an introduction to customer analytics, application in the real world. You will also learn how to leverage the power of advanced analytics and predictive modeling. Implementing various supervise and unsupervised learning algorithms, analytics for tracking customer growth. The topics you will learn here are an overview of key analytical methods, segmentation process, and analytics of mobile advertising, fundamentals of search engine marketing, web and digital advertising. You will learn how to work with customer lifecycle concept in data analysis by exploring dataset for analysis with R, preparing customer summary and making business recommendations. 3 Pricing Analytic using R and Tableau This Tableau training includes pricing research, Predictive and prescriptive pricing in the business. You will explore how to identify and rectify pricing opportunities in different business domains. The data clustering process can be expanded and analyzed. The concept of data extraction, data mining, data storage and manipulation, complex data computation can be defined. learning about R and tableau tool for storing and managing the data especially coefficient calculation. The main goal of this tool is to check price changes by the user and to develop analytical quantitative skills helpful in business to business pricing. 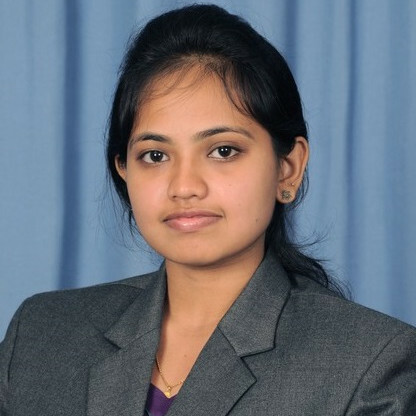 the course outline includes pricing introduction( Problems and techniques employed in business), probability distribution, detecting abnormalities in statistics data by outlier analysis. Analyzing pricing summary with R by looking for outliers and dealing with it; thereby introducing cross-joins in R to build summary table. 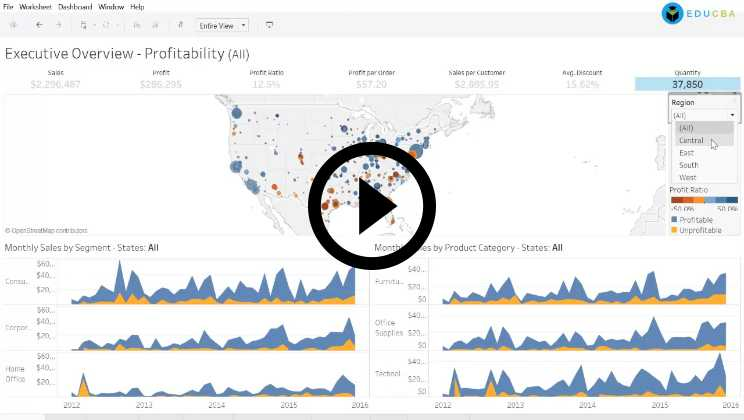 4 Business Intelligence Using Tableau In this Tableau training you will learn how to connect with data before visualizations and analyze the data, table calculations and data blending. you will also explore the basis of data validation, chart types, pivots, data modeling and dynamic dashboards. Tableau is a statistical business Intelligence tool used for data analytics purpose. They are easy to deploy, learn and very intuitive to the customer use. 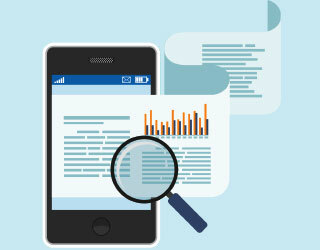 Business users create their own reports in an easy way by then reducing backlog reports. 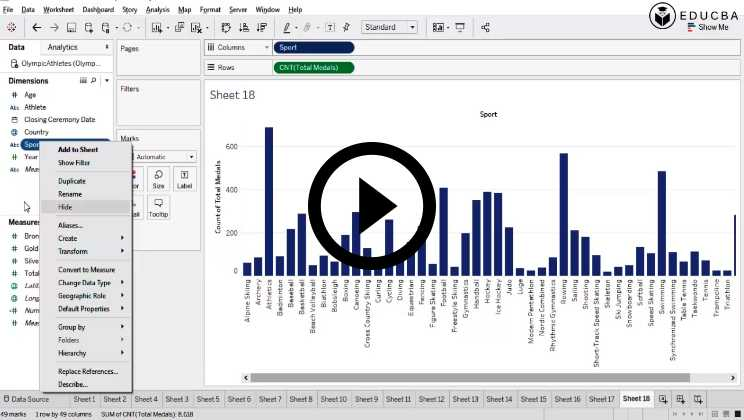 tableau connects many data sources (RDMS, Microsoft Access, Excel, CSV files)and can visualize large data sets. The five major tools of tableau are tableau desktop, server, online, reader, Public. Tableau Desktop is a data visualization which generates highly interactive workbooks, graphs, dashboards, and reports to make discovery easy with visual patterns. It is a main end-user Analytical tool. There are various kinds of charts that make an end – user to read data in the understandable form. Tableau public shares data in their blogs and websites without any API. They have a premium version which is free based service. Tableau Server is a web-based intelligence platform. Tableau Online is Public premium and cloud-based service. For exploring large database Tableau uses Visual Query language called VizQL which translates drag and drop actions into queries and expresses the data visually. There are two versions of the tableau, one is personal and other one is professional. As personal edition connects to 7 data sources, including Excel and CSV files. It imports from a data source from another workbook. With professional edition, hundreds of data sources are connected. It is compatible with Tableau Server and Online. It Has compatibility with different types of database (spreadsheet, Bigdata, access data warehouses, cloud applications, cloud databases). Cross-database joins are extremely powerful in Tableau. The main strength of having Tableau is their speed through which it evaluates large no. of rows and provides appropriate responses in a moment. Easy publishing and sharing their outcomes live with just a small click. The dashboards are shared live on the web. They have direct access to the database without any setups in installation. What skills will I learn from this Tableau Training course? You will learn how to conduct and represent statistical analyses embedded in modern visualization package, generating insights into business KPI’s. You can understand the business requirement to formulate a customer analytic strategy, experience in handling big datasets. 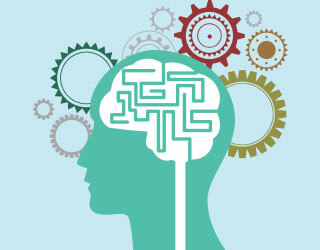 Learning outcomes include creating advanced visualizations, formatting, calculations, tricks, and tips to use Tableau. For customer analytic the skills you will gain as predictive analytics, Regression analysis, Marketing performer. You will explore to structure your data analysis projects and data stories using tableau. The tableau certification will help in mastering data sources, learning concepts of tableau desktop 10 and formatting data. 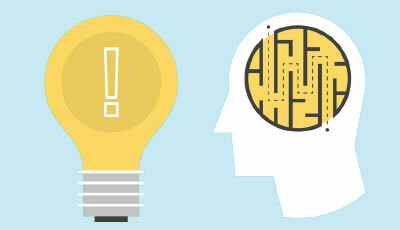 Individuals gains both soft and hard skills who has both a logical and creative mindset. You will also do problem-solving ability, as there are large online resources and analytical mindset for a solid understanding of algebra. The other hot skill that adds up a skill set is the ability to tell a story, simply complex concepts, visual Layout skills. In general tableau, learning doesn’t require any pre-requisite. Actually, this Tableau training is requisite for the advanced. Before taking this course you should be familiar to use tableau fundamentals and a basic understanding of Microsoft Excel and access level one. You should also know data warehousing and BI to go with tableau advanced data concepts. For Pricing Analytics you need mathematics, statistics, microeconomics and marketing as a prerequisite. This certification is best suited for the employee who is passionate about big data analytics. Students do not require any prerequisite, expected to have some experience in Microsoft Excel. Graduates, business intelligence, testing professionals are included as the target audience. Even tableau is focussing on Non- technical business users. The target audience of this tableau training is they need a separation between in-depth graphs and pie charts in excel. We are also looking for the user with a bit more experience in analytics to do a lot of calculations. Data analysts who wish to become familiar in tableau platform focused as the target audience. Tableau users vary from beginner to intermediate level. How this Tableau training makes tableau experts? You will be trained to become data scientists and BI experts, therefore, you need to learn business and SQL as well. How tableau course is beneficial among any other BI tool? More Likelihood is for tableau as they are the front – runner with flexible deployment’s Tableau training trends in the market in terms of new visualizations options and uploading large datasets. Which topic gives more weight? Calculations and stats give you more weight because it is time-consuming. Who should avail this Tableau training to a suite and why to learn this course? Data Scientist, data analyst, BI developer, CEO, top-level Managers should avail this Tableau training. Learning tableau gives easy learning, easy to work on data, classifies data by connecting to data source. The growth of an individual and developer is a must. Will, this certification will help to get a job, can I do this Tableau training? What is the duration time progress to finish this Tableau training course? Course progress is around 45 days roughly for fundamentals of the tableau, other analytic course takes 30 days. And eight hours for data visualization of a tableau. How about tableau training and certification significance? Tableau certification gives significant value to the career and tableau certified gives the highest salary to the IT professionals. Tableau qualification and certifications give good stuff in tableau community. Having a Tableau Certification offers you a good pay with a good job in the future and makes you competent in a large skill set. Tableau Training will help you in a tableau career opportunity and grab jobs in Business Intelligence technologies. Tableau professionals are getting paid a good salary in the industry. The current job openings in the trend reveal top companies are hiring tableau professionals. some of the companies are Facebook, Verizon, Bank of America, Dell. There is a bright future for Tableau professionals as they are the top leader in the market with respect to business intelligence and Data Visualizations. You can have job roles in different streams as a data analyst, business analyst, Business Intelligence developer, manager. Additional skills are working with database and statistics. I took this course as part of my Business analytics and the content of the course is adequate enough to understand the concepts. The examples and cases used for the explanation what made my understanding more easier for me. The instructor has explained in detail which was easy for me to try on my own and learn faster. This also helped me develop my analytical skill in customer analytics. Thank You. Keep up the Good work. 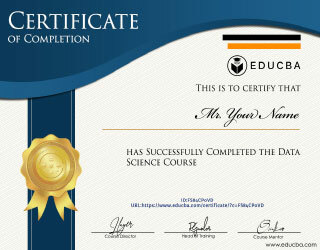 This is my first online course and I am satisfied with this program. This course is in-depth with customers analysis. Clear teaching methods and hands on examples. 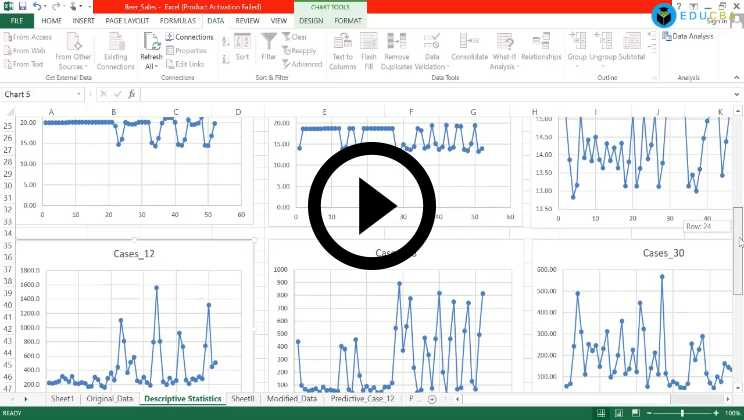 This course gives real life data explains how to use the data. I plan to take more courses in the future. I would recommend this course to a friend. This was my first course with Tableau and it was very useful for my skills development. I took this course since a friend of mine told me that Tableau has become an industry standard for best practices in data visualization. The part of the training that was most useful was the forecasting with Tableau and this was new to me. A great course overall. The course gives an overview about how R studio and Tableau tools can be used to analyse customer behaviour using the responses they give. The course teaches how clustering is done to cluster customers and make use of the clusters to provide customised offers/discounts to retain them. 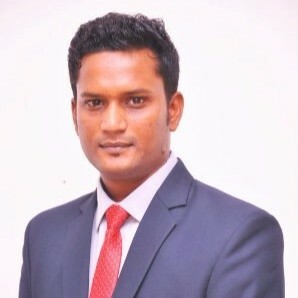 These techniques are used in e-commerce, cab aggregators and so on. In short, it is a useful course to gain a general understanding about how businesses use customer analytics to invcrease customer base and their revenue. It was a wonderful course, it teaches how to manage the program perfectly. Very detailed and amazing.